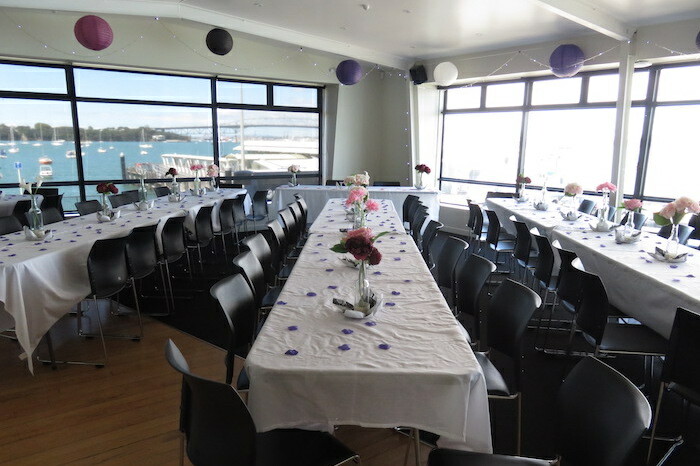 I've just had my dream wedding at NBYC. Great venue, amazing view, perfect location 🙂 All the facilities are almost brand new with an awesome sound system. It was very easy to book. Thank you Mere and Chris for making my day even better than I expected! Awesome view, excellent facilities..our guests had a lovely time celebrating my grandchildren's joint birthday. Highly recommended. 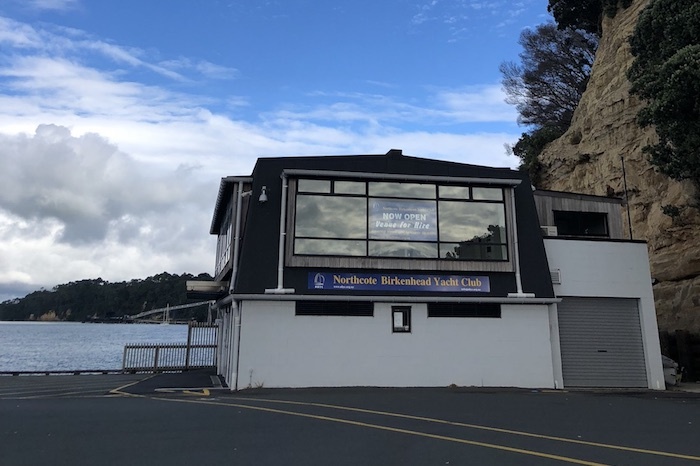 With elevated sweeping views of harbour and city, the NBYC Clubrooms is quite simply, an iconic venue. Large room with a dance floor. 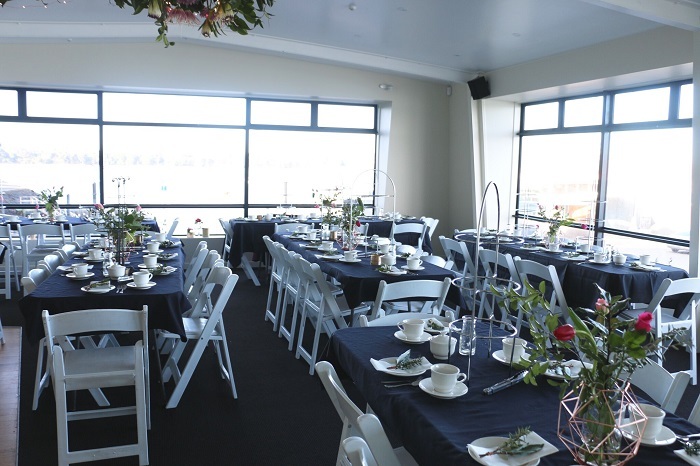 From this room all guests enjoy elevated 180-degree views of the water, the city and the Auckland Harbour Bridge light displays. Smaller adjacent room, containing kitchen and serving bar which opens out to a large covered deck facing West. 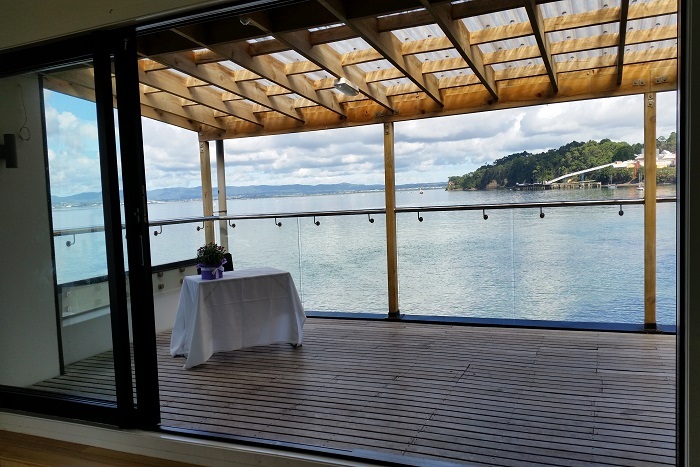 The deck hovers over the water and offers sweeping views of the mid and upper harbour, the Waitakere Ranges in the distance. Tables and chairs for up to 65 people which can be arranged as required. Around 80 people can be seated if you're able to supply additional chairs. High-quality multi-zone sound system including a microphone for speeches. Large flat screen TV which can be used for photos, videos, presentations etc. Multiple fridges for drinks and food. Glorious views of the harbour and city from all areas. 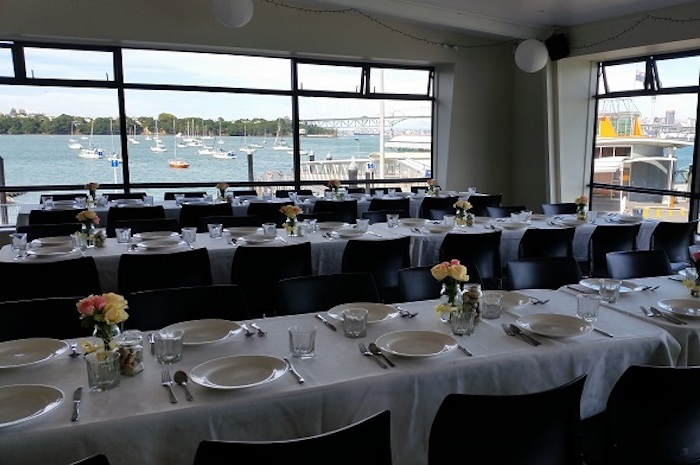 We are adjacent to the ferry terminal where regular Fullers services provide transport to and from the city, and there is ample parking around the club, especially on weekends. 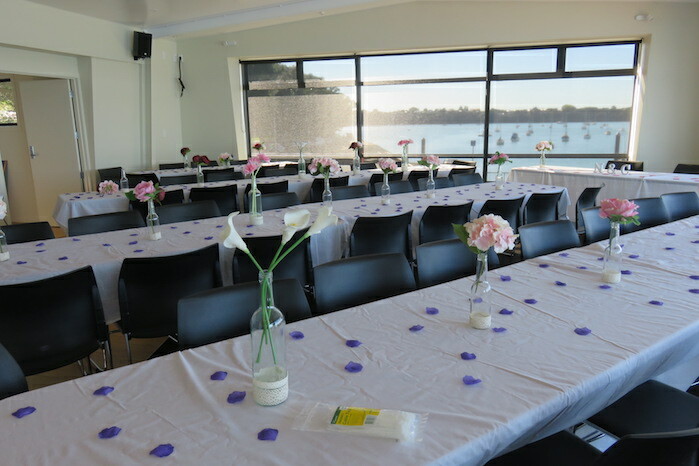 There are several local caterers familiar with club facilities, or you are welcome to select your own catering provider. Please note: The club doesn't cater for 21st or teenage parties.